When World War I began in 1914, U.S. Navy and American merchant vessels were largely unaffected as the early battles took place far from American shores. All that changed in May 1918, when the German submarine U-151 arrived off the U.S. East Coast, the first foreign enemy naval vessel to invade U.S. waters since the War of 1812. 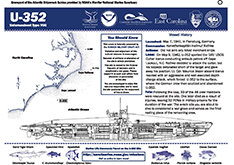 By the end of the war in 1918, three German U-boats, U-151, U-140, and U-117, had sunk a total of 10 vessels off North Carolina. Graveyard of the Atlantic Report An initial overview of the maritime cultural landscape of the "Graveyard of the Atlantic." Underwater Cultural Heritage Law Study Report generated by the Department of the Interior, Bureau of Ocean Energy Management and NOAA to provide an analysis of existing laws. A comprehensive long range preservation plan with options for management, stabilization, preservation, recovery, conservation and exhibition of materials and artifacts from the Monitor National Marine Sanctuary. The original FRN announcing the designation of the Monitor National Marine Sanctuary. 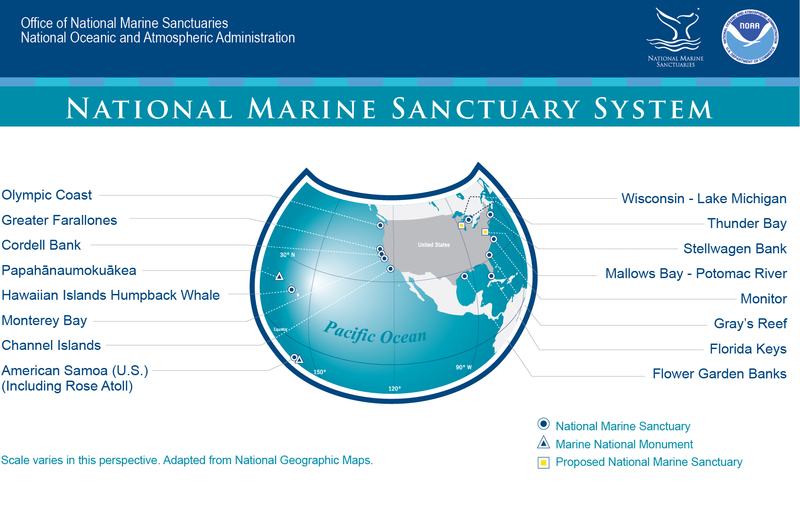 System map of the Office of National Marine Sanctuaries. See the Education Section of our website for a wealth of educational resource for both students and teachers. Dive slates are created from data collected during an expedition to a shipwreck site. Site surveys and video and photographic data are used to create an accurate representation of the site as it existed at that time. Dive slates may be used for educational purposes or by recreational divers as they enjoy diving on the shipwrecks. To view the current dive slates, visit the Dive Slates web page. Site plans are archaeological drawings created from data collected during an expedition to a shipwreck site. To view the current site plans, visit the Site Plans web page.